For investors that are hoping to achieve long-term investment success, it is essential that they maintain the right mixture of assets in their portfolio. Over time, some investments will go up in value, while others go down. In order to prevent owning too much of some securities and not enough of others, many professional investors are rebalancing their client’s or their personal investment portfolio. 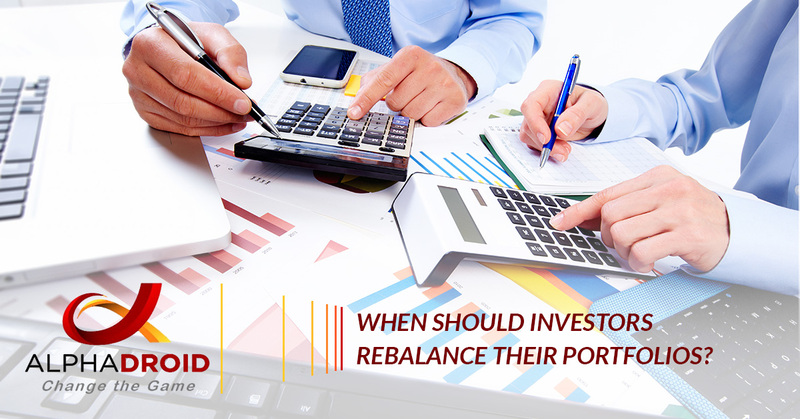 However, one question that many investors will ask themselves at some point in their career is when, as well as how often, should investments in a portfolio be rebalanced. To start, investors should never rebalance their portfolio as a reaction to short-term market conditions or events. It can be too easy to validate attempted market-timing as portfolio rebalancing. For that reason, it is essential that investors establish rebalancing criteria for their portfolios in advance. In our of our past blogs, we reviewed three different approaches to portfolio rebalancing. In this article, we are going to revisit the two main strategies for rebalancing to help determine the best time to rebalance a portfolio is. With this rebalancing approach, investors take the time variable out of the equation. Rather than scheduling their rebalancing for a specific date, they instead monitor their portfolio and rebalance it when it has changed by a set amount. For example, if an investor could decide to rebalance any one of their asset classes that is more than 30 percent away from its initial target. If their investment portfolio called for 60 percent in large-cap stocks, the investor would then rebalance their portfolio whenever they have a 68% allocation to large-cap stocks. The benefits of this rebalancing approach are that it prevents an increase in portfolio risk by initiating a rebalancing as soon as the deviation changes the risk. One disadvantage is that in volatile markets this approach can lead to frequent rebalancing. When volatile conditions exist, risky securities should be confined to a narrow range to protect them from being underrepresented in a portfolio. Unlike conditional rebalancing, calendar rebalancing is time-based. Investors that use this method choose specific time intervals to rebalance their portfolios. By analyzing a portfolio’s investment holdings at predetermined time intervals, in addition to adjusting back to the original allocation mix at the desired frequency, investors save more time since they are not required to monitor their portfolios between scheduled rebalancings. This is an advantage for investors who tend to have trouble not reacting to every fluctuation in the markets. The frequency at which a portfolio should be rebalanced is a matter of debate. Some investment professionals recommend rebalancing once annually, while others will recommend doing so quarterly. Whatever method that is chosen, it is imperative that investors set the proper reminders to ensure they do not forget. When it comes to portfolio rebalancing, with AlphaDroid, a leading financial portfolio management software, the process of portfolio rebalancing is expedited and using the financial planning software will help investors save time and will make it easier for them to review an entire overlook of their investments. If you are interested in trying AlphaDroid, start your free trial today.